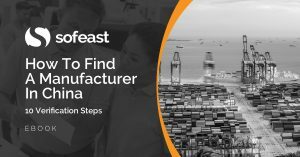 This is the 4th post in our “sourcing from China 101” series. By now I’ll assume that you have verified a few manufacturers. One of them will be your first choice, and, hopefully, you will have a couple of “backups”. But, what is the best way to handle them? And what about the unfortunate situation where your “first choice” disappoints you? With a bit of luck, you have found and verified a supplier that seems quite promising. If you want to reduce your risks of long delays, I strongly encourage you to keep communication open with a few more suppliers. I even believe you should spend the time and the money to verify at least one more supplier, and to start working on pre-production samples with that supplier, even though they are not your first choice. Why? Isn’t it a huge waste of time and energy from your side? Maybe, or maybe not. Depending on the industry, your order volumes, and your quality standard, the probability that your “first choice” lets you down can be as high as 90%. Maybe they have misquoted your product, and they increase the price by 35% after you issue the purchase order. Or, worse, they subcontract production to a small workshop that delivers terrible quality. Maybe they are very busy and don’t value your business much. They keep “bumping” your order behind higher-priority jobs. Maybe the salesperson leaves, and you have no other good contact there. Maybe they just can’t (or won’t make the effort to) reach your quality standard. In any case, starting development with a backup manufacturer is a good idea, especially if you need them to make a unique or highly customized product. If you need to start development from scratch with a second supplier, it will probably take you as long as it took you the first time! As I wrote above, some suppliers will prove to be untrustworthy. The worst scenario, which happens every day, is that they ship bad products to you and that you only notice this upon delivery in your warehouse – or, even worse, in your customer’s warehouse! At that point, there is basically nothing you can do. Chances are, you have already paid the supplier in full, and taking action against the supplier is usually a dead end. The manufacturer will only offer you a discount on future purchases, as compensation. But the last thing you want is to take risks with them again. So, what should you do? It depends on your situation. Drop that supplier as soon as possible because they will (very) probably do it again. In this case, you will be happy to have a backup factory ready to “hit the ground running”. But should you say “never again”, and burn bridges? Not necessarily, for two reasons. A good production manager can be the difference between satisfactory shipments and late deliveries of substandard products. Maybe a lapse in quality is only temporary. Do not draw definitive conclusions. You should care about your image. Do not try to give them a hard lesson, because other manufacturers in the same area might hear about you and refuse your business when you contact them. Dropping a supplier suddenly is close to impossible once you have a regular flow of business with them. At any point in time, they may have your deposits for several orders, and you count on them to deliver products that you need! I was always struck by the way in which a dispute in one area with a partner, customer or colleague affects all aspects of the relationship in China. In the United States, we’re used to “compartmentalizing,” not letting a disagreement in one area affect the overall relationship. In China it’s different. You either have a good relationship or you don’t. Make sure that one accident does not throw the whole relationship off balance. I have seen this happen many times in China. An ounce of prevention is worth a pound of cure, isn’t it? Here are two simple pieces of advice. First, make sure you check quality before shipment. 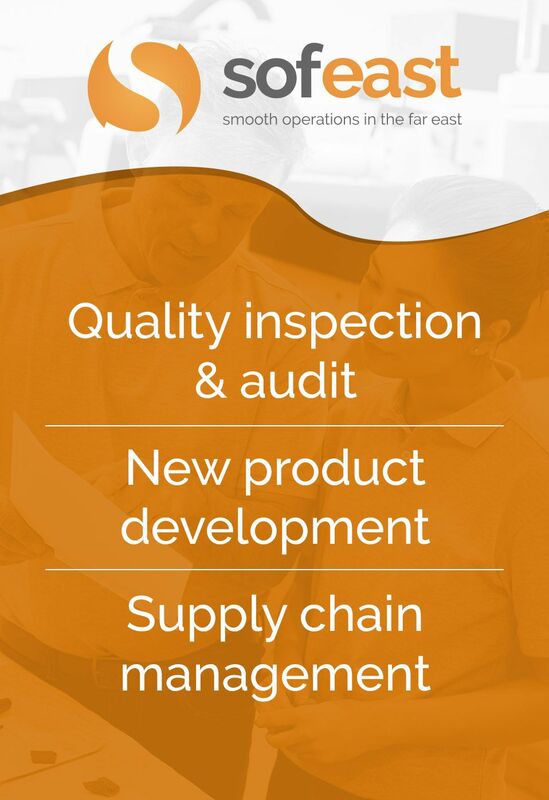 Quality assurance agencies like ours, Sofeast, can help you with this. Second, if you keep re-ordering the same products, you will need a safety stock, to avoid depending too much on your current supplier. How much exactly? It depends on the time it would take you to launch production in another factory.